When you join our Aquatics team, you’ll ensure everyone stays safe in and around the pool. You’ll help people gain an essential life skill and foster the enjoyment of swimming at any age. If you’re ready to dive into a job that comes with great responsibility and great fun, apply today. We offer many child and youth focused programs throughout the calendar year. Working as a part of the Child & Youth team you would have the opportunity to deliver recreational programs to children ranging from 3 to 12 years old. If you love seeing the joy in children’s faces when they experience something exciting for the first time, this job might be the perfect fit for you. When you join our Child Care or EarlyON team, you’ll be providing high quality care for children to grow, learn and thrive. You’ll help kids play together, safely explore and gain their first steps toward greater independence. If you love being around children and are energized by their natural curiosity and spirit, we’d love to meet you. Community Initiatives helps individuals and families address the barriers that limit their potential to leading healthier, more secure lives. At the Y, we believe investing in our community, often with partners, makes it a better place to live. 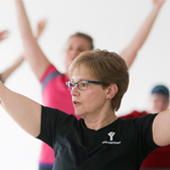 Through a variety of programs that target adults, youth, children, and families, supporting individuals of all ages, abilities and circumstances, the YMCA is able to enhance communities across Niagara. When you join our Camp team, you’ll help kids learn new skills and meet new friends while discovering their potential. You’ll have the opportunity to be a role model for our campers and deliver age appropriate programs that are exciting and educational while creating great memories for our campers. If you are someone who has a silly side, enjoys working with youth and being a mentor, camp is the place for you. Our Employment & Immigrant Services team is all about supporting our community. Whether it’s guiding others along their career path, identifying new areas of interest for job seekers, or helping newcomers integrate into Canada and their new communities, you’ll be influencing others to reach their goals and achieve success. If you’re able to develop relationships between strangers and build confidence in others, our team needs you. Our Facilities team keeps our buildings running smoothly and looking bright and clean. If you can troubleshoot problems, implement solutions, and enjoy working in a team, this might be the right fit for you. When you join our Fitness team, you’ll have the opportunity to encourage others to lead more active lives. Whether you’re building relationships with new members or encouraging them to reach their personal health and fitness goals, you’ll be playing a huge role in building stronger and happier communities. Together the Management and Administration teams work behind the scenes to support the various front line departments deliver services to our members and participants. Do your talents lie in an administrative role? Working in our Administration office will allow you to support others to provide amazing services to our members and participants. Do you enjoy being social and getting to know new people? If so, our Membership team may be just for you. Working on our membership desk will give you the opportunity to forge relationships with new people while providing excellent customer service. If you thrive on interacting with others and would consider yourself a people person, we’d love to meet you – and so would our members.